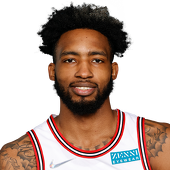 Latest News Derrick Jones Jr.
ADP Trends Derrick Jones Jr. Expert Consensus Derrick Jones Jr. Experts don't even rank him among SF's. Either he is injured or is just plain bad. Based on his stats from the past 30 days, he is currently ranked 56th with 798 total points (13.08 avg). Decline in numbers lately by 3.4 PPG. Shooting 44.68% from the field this month. Shooting 17.65% from beyond the arc this month. I'd love to play against him in a game of 'HORSE'. Assists per game numbers are 0.80 apg this month. Played in 61 more games this year than last year. Experts rank this player at 44th among C's. Based on his stats from the past 30 days, he is currently ranked 3rd with 3215 total points (44.04 avg). His average points in the past two weeks have dipped quite a bit at 9.5. He is currently listed on the injury report due to his Knee (Day-to-day). Luckily it doesn't appear to be too serious, but I would still pay close attention. Shooting 47.37% from the field this month. Shooting 30.30% from beyond the arc this month. Assists per game numbers are good for a center with 3.78 apg this month. Rebounds per game numbers are impressive for a center / power forward with 12.89 rpg this month. Similar Picks Derrick Jones Jr. 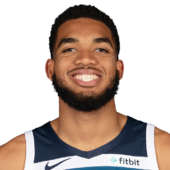 Similar to consider drafting instead of Derrick Jones Jr. Similar based on overall ADP to draft instead of Derrick Jones Jr.